We all love a good weekend outing and I’m sure if you are parenting a child with eczema, you would have figured that the stress level can hit sky high if your child is scratching. First and foremost, you would have to figure out what triggers your child’s itch. For my baby Marcie, it’s the heat and sweat and Marcie’s doctor has told us to keep her fresh all the time. So a cooling place, well ventilated, preferably air conditioned is my top priority. After bringing Marcie out from one month old till now, 17 month old, here are my top 10 cooling places to go. 1. IMM – Apart from free parking for the 1st 3 hours, the place is huge enough that even on a weekend, the crowd has not ‘crowded out’ the cool air. There are also bookstore, toy stores and children stores with children rides around the mall. The latest addition is a 7-meter tall tree house playground at level 3. Fish & Co and Café Cartel have aircon that is cooling enough and also serve kids meal. 2. Libraries – Here you have to try out which library is cooling enough. For me, Bukit Banjang and Jurong West libraries have strong aircon but Jurong East’s aircon is too warm plus the children section in the basement have quite stale air. One drawback of libraries is that there is no diaper changing area. 3. Tanglin Mall – This mall is not crowded and have many children stores plus an organic shop that also sells baby food. Marcie could even eat in the food court as it is well air-conditioned. From Tanglin mall, you can walk to Forum the Shopping Mall which also has many children stores and Toys R Us. 4. Ikea – Though crowded over the weekend, Ikea has shopping trolleys that have child safety belts. Marcie loves sitting in the trolley so even if it is crowded, she can be distracted enough not to scratch. The dining area is always crowded but fortunately, there is a mini playground to keep Marcie busy. 5. 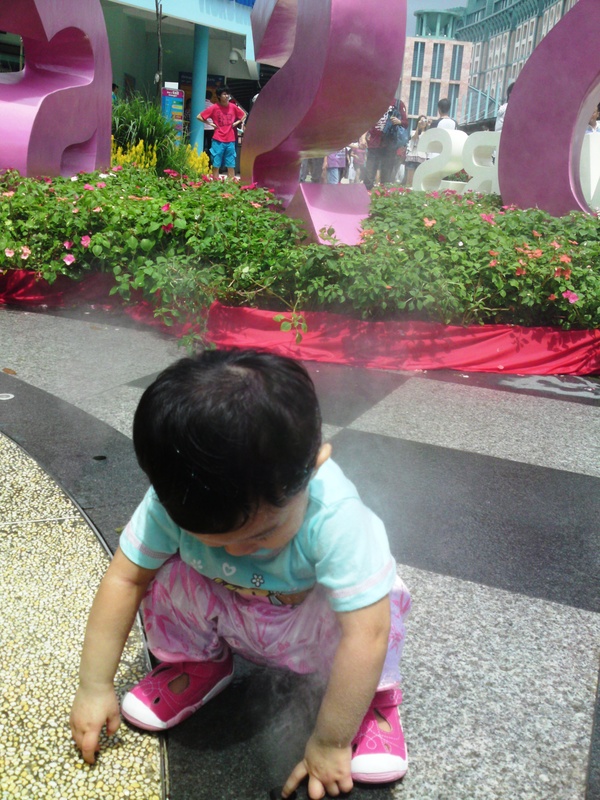 Vivocity – Marcie loves the fountain and we let her play in it once. There is a baby changing area inside the female toilet, located very near to the entrance facing the fountain. The food court is far too stuffy and warm, don’t venture there if your baby itches when hot. For outdoor places, it really depends on the weather. So far, we have brought Marcie to the following places where she didn’t scratch much. 6. Singapore Zoo – We went on a rainy Saturday and though it’s crowded, Marcie was attracted to the animals and the show and didn’t scratch. We went on a crowded flower festival event over the Chinese New Year. It turned out well as we took a break in the air-conditioned visitor centre plus let Marcie play with the mist that comes out from the ground. The climb up to the cable car station is torturous though with throngs of people wanting to go up the escalators. 8. Qian Hu Fish Farm – This is cooling since the fish need a cool environment. Everywhere is sheltered and your child will likely be amazed with the range of fish. Some will even follow your finger on the tank and it’s quite fun for Marcie! The canteen can get fairly warm on a hot day though, so don’t plan your meals there. 9. Hay Diaries Goat’s Farm – The goat farm has milking time in the morning when the goats will be brought up a ramp to the milking area where the staff will pump the milk. It’s fascinating to watch and it’s also sheltered with a ceiling fan. Feeding of goats is no longer allowed but you can still walk around to view the goats from a distance. 10. Jacob Ballas Children Garden – There is a little fountain for children to play but it’s not shaded. Though suitable for kids who can walk and climb very well (there is a tree top house), I suggest giving this a miss on a hot day. 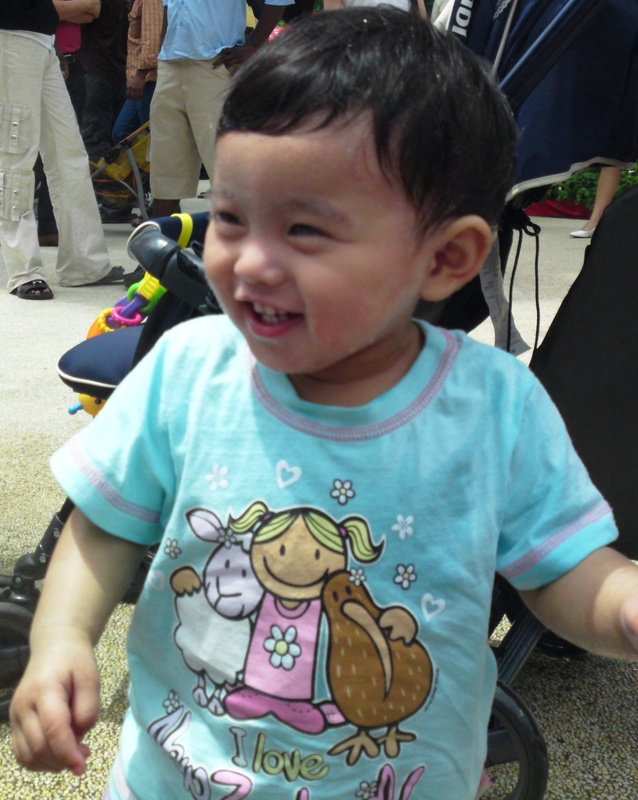 Hi, my baby sees Dr Hugo Van Bever at NUH Children Clinic. He is not a dermatologist though, but his treatment so far has been effective for Marcie. My 6 year old daughter is currently having a flare up of eczema and it is very distressing for parent as well as for the child. Need your advise on whether you have a good dermatologist to recommend. Thanks.